We may see fairy tales now as something from our youth, a story to get a child to sleep, keep them from boredom, or to teach a moral lesson. However, fairy tales haven’t always just been for kids. In late seventeenth-century France the fairy tale became a ‘legitimate’ genre of literature for the educated (adult) classes to read. Fairy tales were introduced in to literary salons by a group of gifted female writers, including Mme d’Aulnoy, Mme d’Auneuil, Mme de Murat, Mlle Lhéritier, and Mme de La Force. The below video provides a brief introduction to this era of fairy tales and the most famous French writer of fairy tales (after Charles Perrault): Mme d’Aulnoy. This group of writers were the first to designate this literary genre as a fairy tale, or contes de fees, with the narratives varying between 10 and 60 pages in length. During the late-seventeenth and early-eighteenth century, fairy tales reflected changes happening in King Louis XIV’s court. d’Aulnoy’s Histoire d’Hypolite, comte de Duglas (or the Story of Hypolitus, Count of Douglas) was the first literary fairy tale published in the French language. A number of the fairy tales written by this group of writers grapple with the question of love. In several tales written by d’Auneuil, she provides a critical perspective, rejecting the conventional idea of a happy ending. Whereas Murat treated love from multiple perspectives – for example in Anguillette passionate love overrides temperance, which leads to tragedy. Almost 30% of the French fairy tales that appeared in English between 1691 and 1729 were written by d’Aulnoy. Lhéritier, the niece of Charles Perrault, was the writer of the first literary version of Rumpelstiltskin, originally made famous by the Brothers Grimm, called Ricdin-Ricdon. Strong heroines play a significant role in many of d’Aulnoy’s tales, for example the heroine Finette-Cendron is a resolutely active character, combining the qualities of Thumbelina and Cinderella. Featured image credit: Photograph by Jovi Waqa. CC0 1.0 Public Domain via Unsplash. 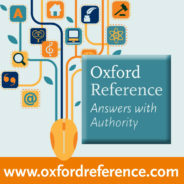 Bringing together over 2 million digitized entries across Oxford University Press’s Dictionaries, Companions and Encyclopedias, Oxford Reference is the premier online reference product, spanning 25 different subject areas. What will you discover?